Note: the concert scheduled for 26 May, ‘Olivia – Magic!’ has regretfully been cancelled. These four rising stars first performed at Arden Crescent, Rosanna, in 2017. 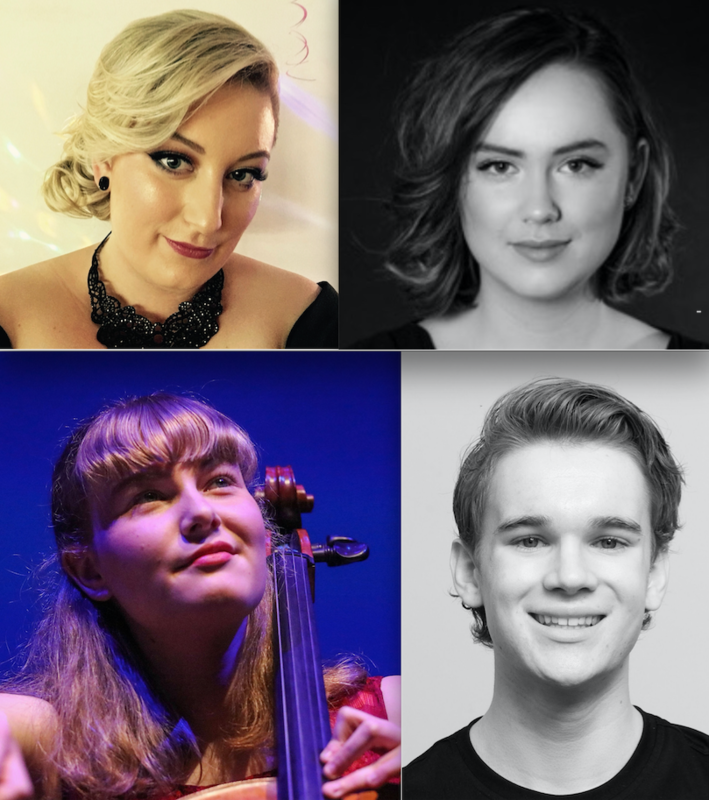 Following the very successful encore concert in 2018, members of the organising committee were delighted when each of the young artists expressed a desire to return yet again in 2019. Amanda Middleditch started her passion for singing at the age of 7. Singing with the Australian Youth Choir she achieved a Developing Artist scholarship and the opportunity to sing with some of Australia’s most talented singers. Amanda continues to enhance her skills as a young opera singer. Chloe Harris, mezzo soprano, a graduate of the University of Melbourne, and recipient of several awards, is a scholar for Opera Scholar Australia’s 2018-9 season, and last year spent several months in Austria furthering her studies. She aims to pursue a career in the arts as a teacher and performer. Charlotte Miles is a full-time music student at the Australian National Academy of Music – having completed VCE in 2018 with a perfect score. She has performed as a soloist at Carnegie Hall in New York (2013) and Opéra Bastille in Paris (2015) after winning first prizes in international music competitions. She has won over 100 competition prizes locally, and has been guest soloist with several community orchestras. William Hardy is a multi-talented performer, who plays a range of recorders, from soprano to bass. He also sings, acts, and plays flute and tenor saxophone. The winner of several awards, Will has eclectic musical tastes, and he loves to play, entertain and share his joy in music. This promises to be a delightfully entertaining afternoon, with four hugely talented young performers displaying a great variety of skills.